Louis Wagner competed in the 1905 and 1906 races for the Darracq team. He also had a handful of races in Europe with Darracq: He had class wins in 1903 and 1905 at the Circuit des Ardennes Race and Belgium; placed third among voiturettes at the deadly Paris-Madrid Race; and competed in the 1907 Targa Florio. It was the Targa that finally brought Wagner’s long relationship with Darracq to an end. After working as a mechanic for the maker in his teens and racing them in his twenties, Darracq claimed that the differential failure during the 1907 Targa was Wagner’s fault and he abruptly left the team. 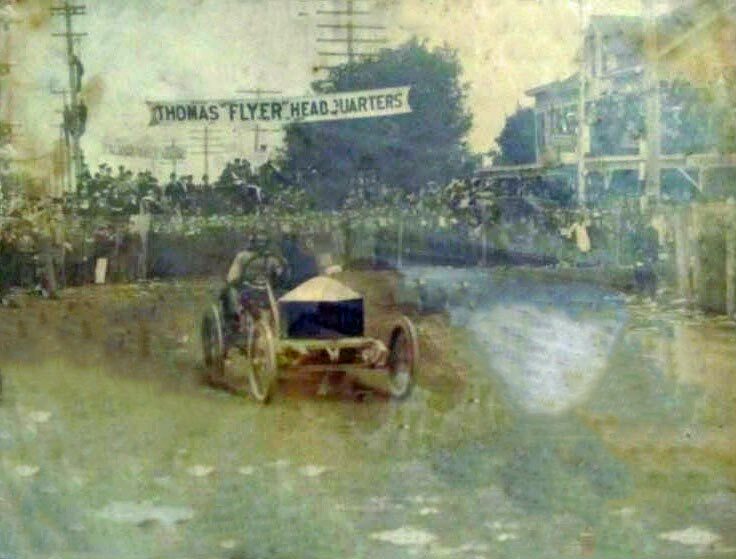 Getting back to the photo though, even though we don’t clearly see the large #10s that adorned the grill of the 1906 car, this looks very like the 1906 Darracq that he won the 1906 Vanderbilt with alongside riding mechanician Louis Vivet in the 1906 Vanderbilt Cup race. What do you think… Did I get it right? As always, VanderbiltCupRaces.com is your source for endless bits on the series, including this much more complete bio of Louis Wagner. 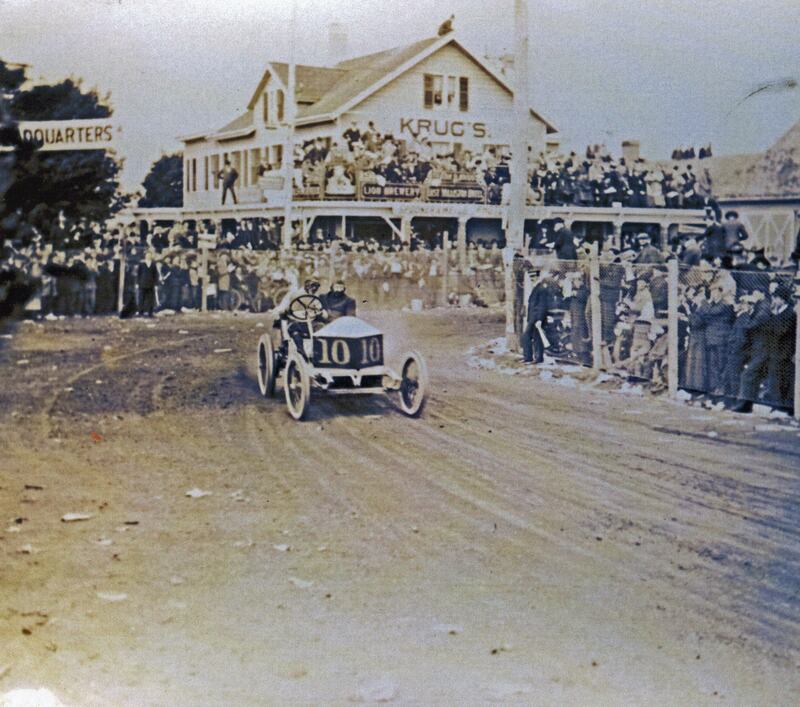 The photo does show Louis Wagner driving the eventual winner Darracq at Krug's Corner during the 1906 Vanderbilt Cup Race. 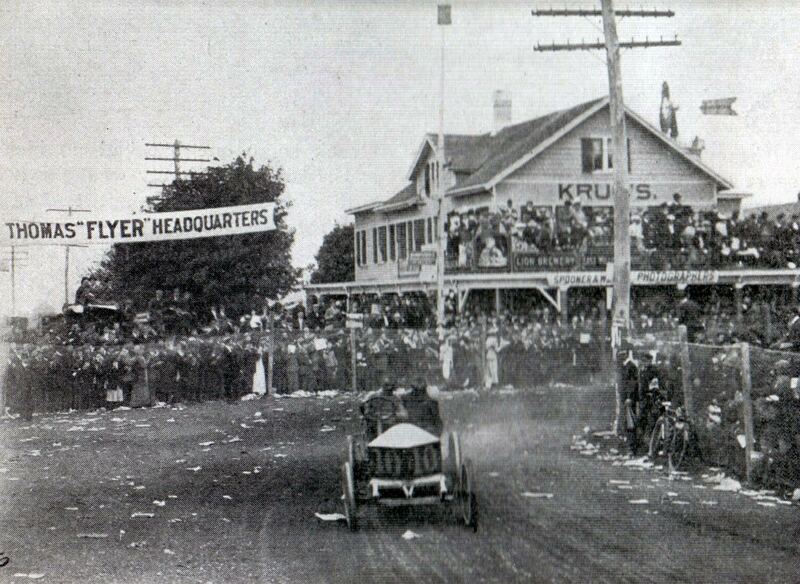 Here are other photos of the racer at Krug's Corner, located at the interesection of Willis Avenue and Jericho Turnpike in Mineola.. 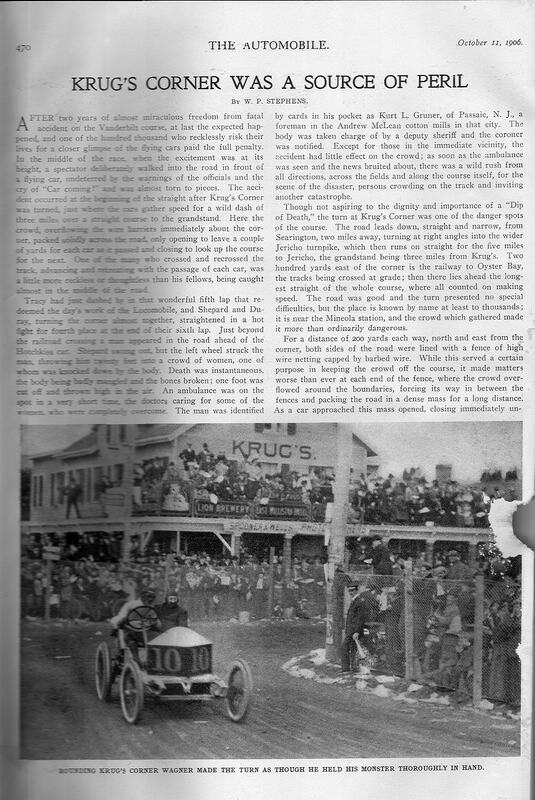 The photo caption from this 1906 "The Automobile" article reads: "Rounding Krug's Corner Wagner made the turn as though he held his monster thoroughly in hand." 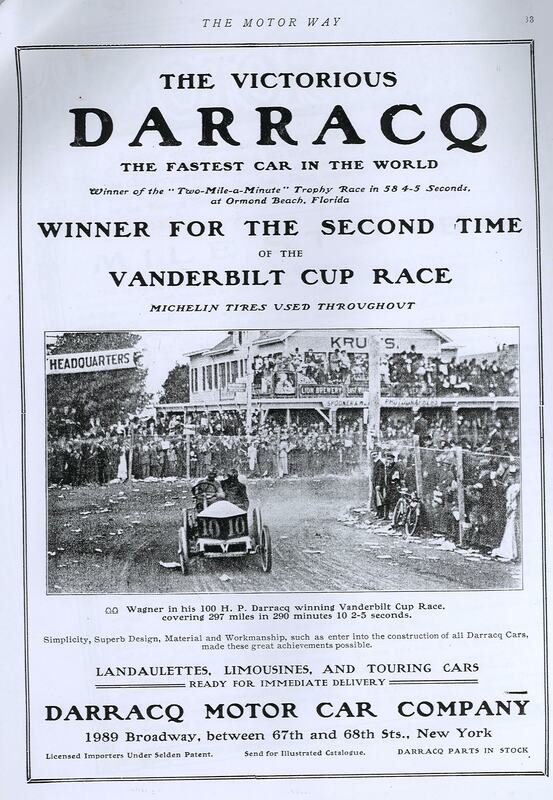 Darracq promoted their victory with this ad of their car at Krug's Corner.